If you have older Hickory true wooden clubs from the early days of golf up through the 1980’s – the clubs likely have what is termed “whipping” over the joint where the club shaft (wood or steel) meets the club head. This would be the equivalent of the hosel area on today’s modern clubs. The whipping acts both a joint stabilizer as well as providing a finished appearance. 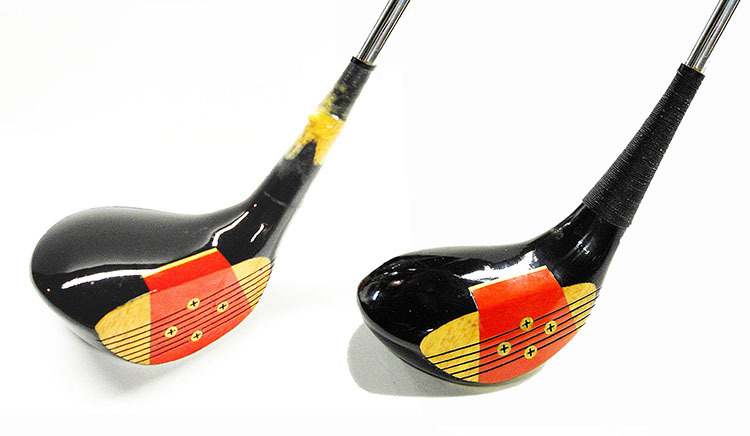 This is an “old school” manual hand process, but at Better Golf Shot, we do replace old brittle and frayed whipping. Turnaround time is usually one day. The wooden club shown on the left is without whipping. Conversely, the one on the right has had new whipping done.